G-Technology today announced a new line of portable and desktop USB 3.0 storage solutions for a broad range of users from consumers to audio/video professionals. Given the brand’s strength in the content creation and Apple Mac® community, G-Technology is well positioned to move the Mac industry forward in leveraging high-capacity, high-performance USB 3.0 drives across a variety of customer segments, all while delivering one of the industry’s most respected external storage platforms with proven quality, reliability and performance. Today, new kinds of devices and media formats require considerably more interface bandwidth and higher transfer rates to move, store and edit data quickly. Backward compatible with USB 2.0, G-Technology’s USB 3.0 drives deliver speeds 10 times faster than USB 2.0 and six times faster than FireWire 800. This means that users can now transfer two full-length movies from a G-Technology USB 3.0 drive to a computer in minutes. G-DRIVE™ slim: Ideal for any laptop user, the G-DRIVE slim is the ultra-slim, ultra-stylish portable solution. Featuring a high-performance USB 3.0 interface and a thin design, the G-DRIVE slim is the Mac user’s sleekest answer to superior data storage. Its slender, lightweight aluminium case packs up to 500GB¹ of storage for photos, videos, music and more. The drive is also USB 3.0 bus-powered, eliminating the need to carry an external AC power supply. The 500GB G-DRIVE slim will have a MSRP of $109.99. G-DRIVE mobile and G-DRIVE mobile USB 3.0: The G-DRIVE mobile features versatile USB 3.0, FireWire 800 and FireWire 400² interfaces, and delivers exceptional throughput performance–making it the perfect storage option for portable use. The G-DRIVE mobile USB 3.0 offers simple USB 3.0 only. Both drives are offered 1TB, 750GB and 500GB capacities, and are USB bus-powered. The 1TB G-DRIVE mobile will have an MSRP of $189.99. The 1TB G-DRIVE mobile USB 3.0 will have an MSRP of $159.99. G-DRIVE mini: The G-DRIVE® mini is the perfect storage solution for those who demand the highest performance possible from their mobile storage device. Featuring a 2.5-inch 7,200 RPM hard drive, the G-DRIVE mini is the high-performance solution designed specially with the content creator in mind. The all-aluminum enclosure protects valuable data from the bumps and bruises encountered on the road, and the system is USB 3.0 or FireWire bus-powered for easy storage on the go. The drive features high-speed USB 3.0 and FireWire, and has a built-in heat sink to silently dissipate heat. The G-DRIVE mini will be available in 750GB ($169.99 MSRP) and 500GB ($159.99 MSRP). G-RAID™ mini: The G-RAID mini is the perfect companion for video and still shooters or editors working on location. Out of the box, G-RAID mini is set up in RAID 0 (performance mode), with its two 7,200 RPM drives working together for the performance needed to edit the most popular compressed HD formats. Using the included software utility, the G-RAID mini can be configured in RAID 1 (protected mode), giving users peace of mind that digital video or images are protected while on the road. G-RAID mini can be FireWire bus powered. The G-RAID mini will be available in 1.5TB ($359.99 MSRP) and 1TB ($259.99 MSRP). G-RAID: Leveraging two 7,200 RPM drives, the G-RAID drive is a blazing-fast, dual-drive RAID 0 storage solution with capacities up to 8TB, with USB 3.0 and FireWire 400/800 interfaces. Ideal for professional content creators, it supports simultaneous playback of multiple layers of HDV, DVCPRO HD, XDCAM HD and ProRes 422 HQ with the leading video editing applications including Final Cut Pro™, Adobe® Premiere® and many more. Its soft-touch On/Off switch and thermo-regulated “smart” fan keeps the G-RAID drive reliable, cool and quiet in the editing suite. The 8TB G-RAID drive will have an MSRP of $809.99. G-DRIVE: The G-DRIVE is a professional-strength external hard drive in a single-drive desktop solution. With capacities now up to 4TB and multiple interface options (USB 3.0 and FireWire 400/800), the G-DRIVE is the perfect high-performance solution for storage intensive applications including A/V editing, digital photography, music libraries, and high-speed data backup. The G-DRIVE solution features fast 7,200 RPM drives and a fan-less cooling system for a quiet operation. The 4TB G-DRIVE solution will have an MSRP of $359.99. 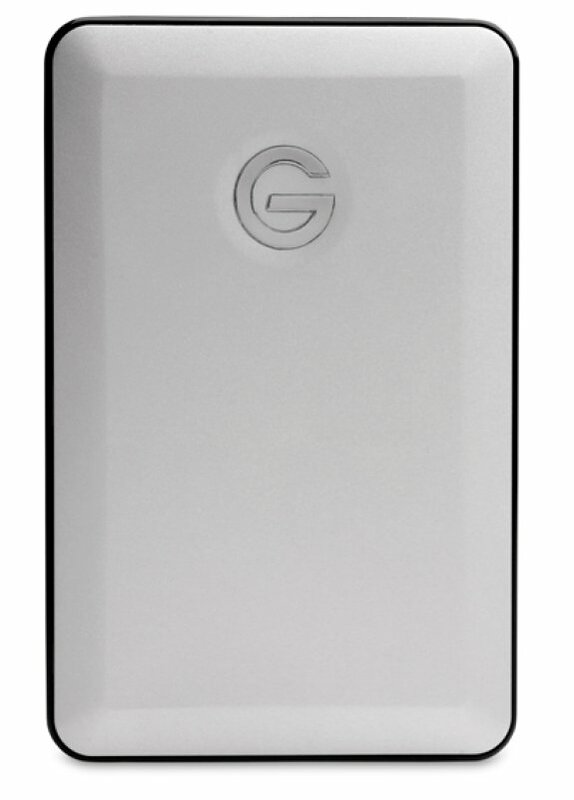 The G-Technology G-DRIVE slim and G-DRIVE mobile external drive family will be available in Apple Stores in July. The G-DRIVE and G-RAID solutions will be available in August 2012. The G-DRIVE mini and G-RAID mini solutions will be available in Q3 2012. All G-Technology drives are formatted for Mac® OS X systems right out of the box and are Time Machine® ready so backing up important documents, music, digital video and photos is quick and easy. A simple initialization is required to prepare the drives for use with Windows® systems.